I absolutely love this newborn baby girl. She was so good for her newborn photo session and she absolutely takes my breath away. I love everything about her, especially her chubby little cheeks. And her skin color is to die for, lucky girl. She let me know that she prefers posing on her back, which works for me… She was not a huge fan of being on her tummy, but she worked it out for a few shots. Her gorgeous looks are going to keep her daddy on his toes, watch out for this one. One bat of those lashes will have the boys lined up. Sorry, Hugh. Isn’t she just gorgeous? She looks like a little doll all wrapped up and her sweet pink cheeks. Whether it is natural or from the Austin Texas heat, they are the perfect color. Her mom and dad are so lucky to have her and she is blessed to have them. This has to be one of my favorite newborn photos of the year so far. There is something about those yellow tones with her skin that I can’t get enough of! She is just one of those babies with the perfect skin that looks great in any color. Lucky one. 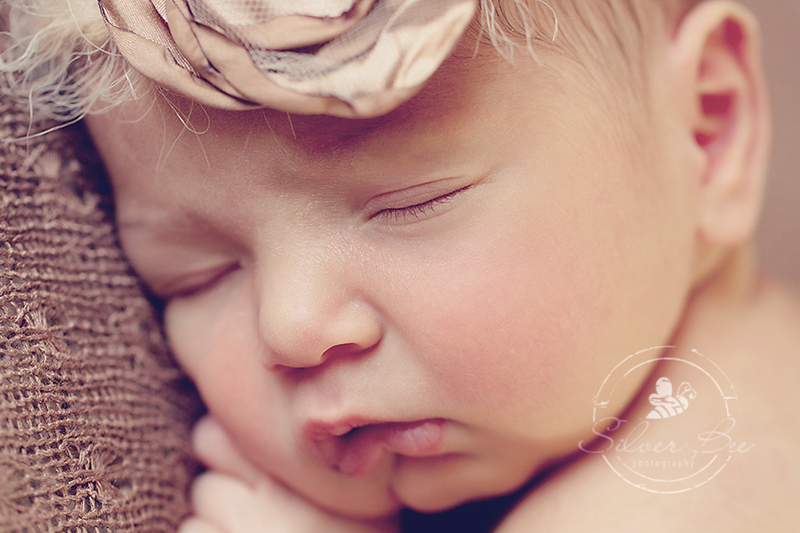 It’s not every day I get to photograph a gorgeous orange bow on a newborn baby girl. This is her mom’s favorite photo and will be displaying a huge print! This looks so great as a giant photo and you can appreciate those lashes even more. She is the spitting image of her daddy in this photo…well really in all of them. Perhaps she will look like her mom in some way, as she is equally as gorgeous. 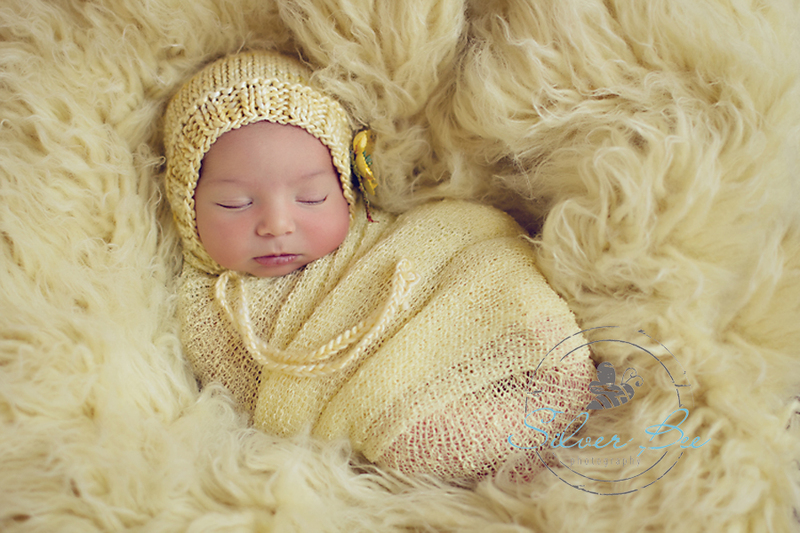 Thank you so much Kristen and Hugh for the opportunity of photographing your newborn baby girl. I hope you enjoy each and every day with this gorgeous little one!